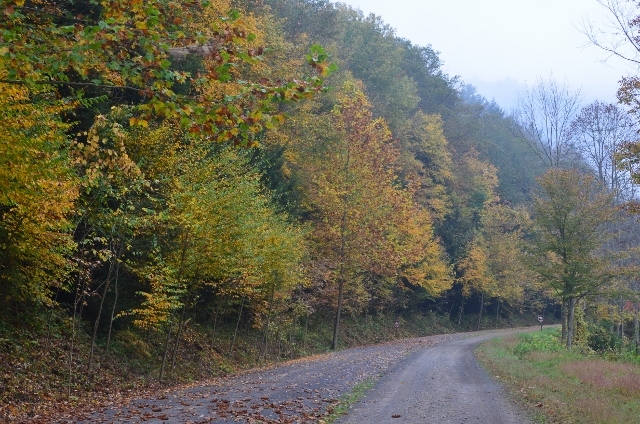 We spent a week in the mountains of north central Pennsylvania enjoying the change of season and taking advantage of the great rail trails. 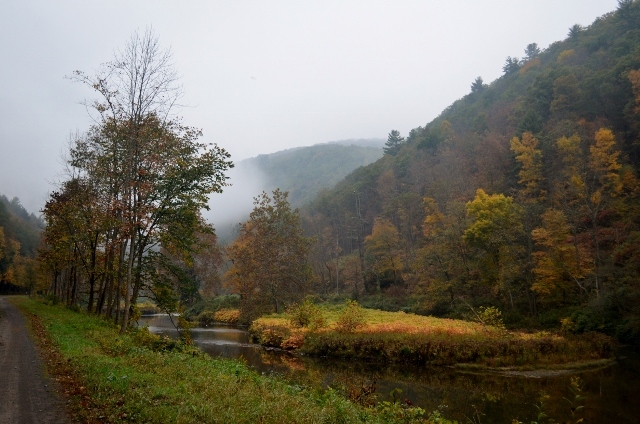 Pine Creek Rail Trail in Tioga County goes through the Grand Canyon of Pennsylvania, is 57 miles long and runs along the Pine Creek. In the early morning, the mist rises above the creek. 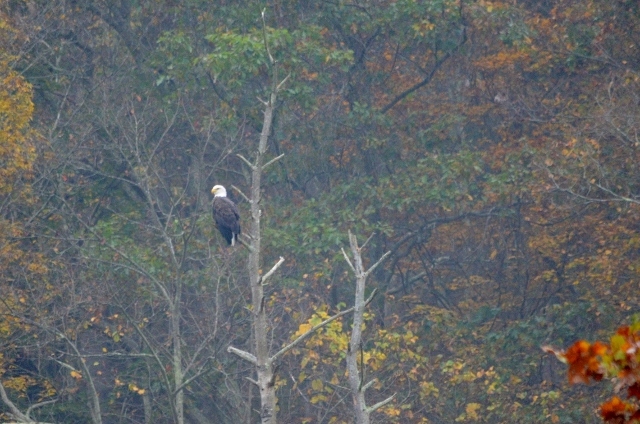 As you are riding you bikes, you may see a bear or deer cross the creek or an eagle looking for its morning meal. 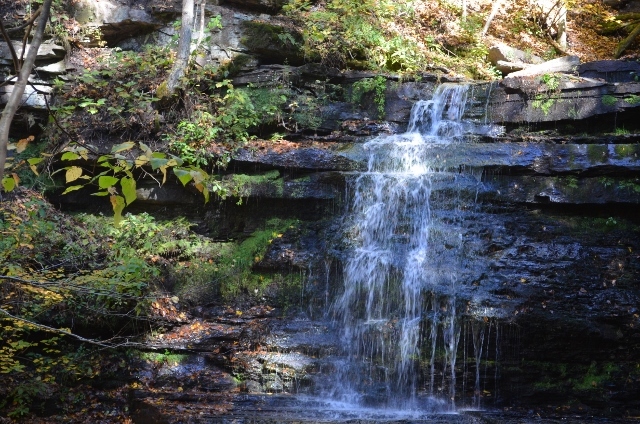 Water falls and other small creeks run into Pine Creek along the trail. 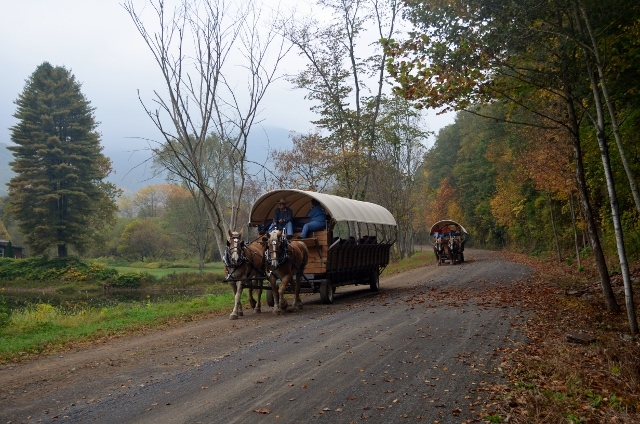 You may also run into covered wagons carrying groups of visitors along the creek. 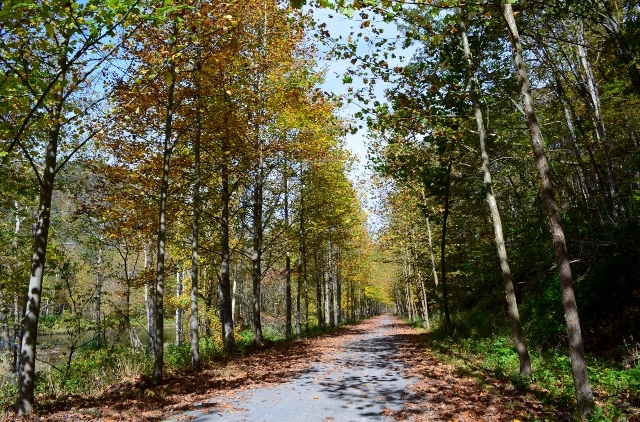 Rail trails are so great for biking (at least if you are of a certain age) since they are relatively flat and smooth. They also often follow rivers or creeks. Definitely a great way to enjoy the changing seasons! Virginia and Pennsylvania are so much alike from a natural perspective. Lovely series of photos! I love Virginia too. We traveled I 81 frequently when children were growing up to visit my family in Arkansas. Love going through the mountains. Now we get to travel I 95 (Ugh!) on way to see son and family in SC – it is not near as nice to drive as 81! Thanks for sharing these photos! We have camped up on the tops of the mountains there, but never made it to the bottom down by the creek. I have always wondered what it looked like! You should head back north and spend some time hiking and biking along Pine Creek. 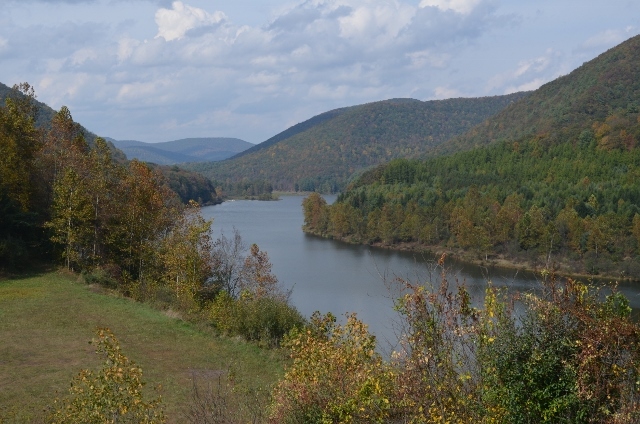 Beautiful area of PA!